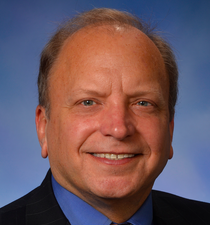 Current senator: The current senator for the 19th District is Sen. John Bizon (R-Battle Creek). The district features Barry County, Calhoun County and Ionia County. Bizon is an ear, nose and throat-otolaryngologist in Battle Creek. He is also a former president of the Michigan State Medical Society. Sen. Bizon served in the Michigan House beforing winning a seat in the Senate in 2018. He is chairman of the Senate Families, Seniors, and Veterans Committee. Sen. Bizon raises money through a candidate committee, Committee to Elect Dr. John Bizon. He also has a leadership PAC, Bizon Majority Fund. The Bizon Majority Fund launched in 2018. He previously raised money through a House candidate committee, Committee to Elect John Bizon For State Representative.